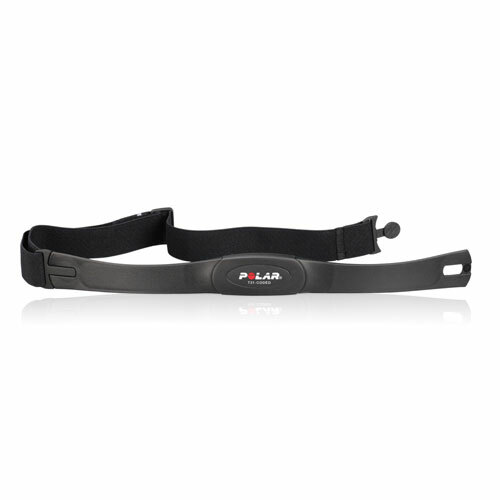 RMCM01 is a Heart rate monitor for Polar chest belts. The RMCM01 is a heart rate monitor chip which is able to decode the signal coming from the popular Polar heart rate belts. It is able to decode both coded and uncoded belts. 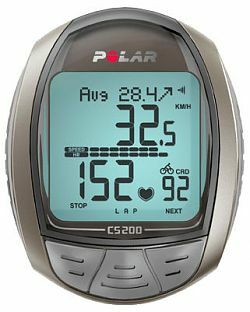 Unfortunately it is no longer available from sparkfun as a standalone and only as the polar heart rate monitor interfaces available. These are 59.95US$ which include the RMCM01 but is a bit expensive for such a gimic. I had one RMCM01 which i ordered long time ago but never found the time to have a look at. Oxurane at circuitsonline already opened up the RMCM01 to see what was inside. Could not see what the IC was but it looked fairly simple. 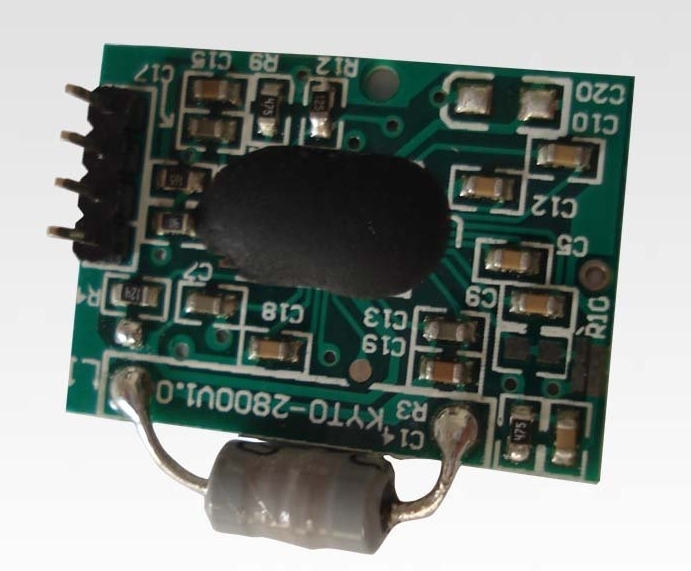 Looking to buy or find the datasheet. Look here. Have a look what is available in the shop. The RMCM01 is rather simple to interface and the software that can be used can be found in the links below. 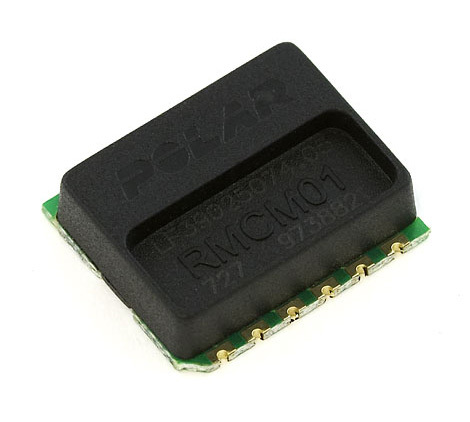 However the RMCM01 is difficult to get in standalone version so i will look for some alternative solutions to decode a polar heartrate belt signal. 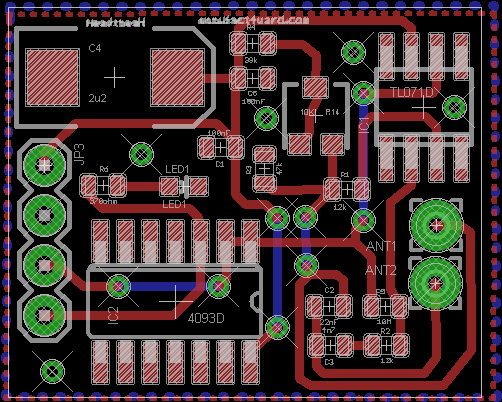 In case you stick with the RMCM01 here is the schematic and a picture of the RMCM01. 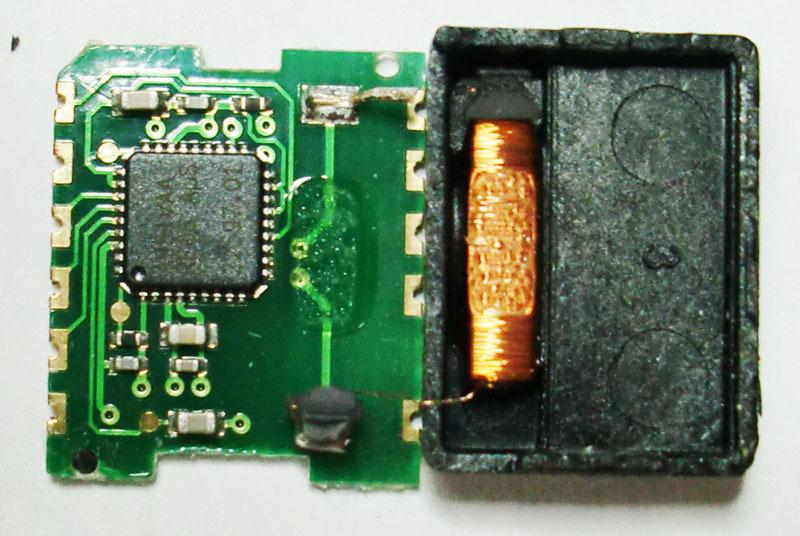 There were also several other suppliers selling different receiver chips. If i should find a good source of receivers i will definitely try this route. http://www.kytocn.com/mod_product-view-p_id-104.html This is the one pictured below on the left. http://www.spark-hk.com/product/spark/oem/spt0007.html This one has an MOQ of 500 so seems to be out of reach for me. It is pictured on the right below. Also there are special adapters that fit your iPod or smartphone. http://www.runalyzer.com/en/ http://www.i-mobile.nl/hosand-60beat-hartslagmeter-ontvanger-voorraad-p-1732.html Maybe these designs could be used by sampling the audio output from their stereo jacks using the arduino a/d converter. Another way to proceed is to use the design of Peter Borst who designed a standalone version which you can find here. http://peterborst.gmxhome.de/sigiborst/ The circuitsonline article also refers to the elektor article which uses Peters design. http://www.circuitsonline.net/forum/view/93725 Only difficulty with this is that there is a ferrite rod 50mm lenth 8mm diameter on which you need to wind 1000 windings of 0.2mm wire. If anyone knows how to do that easily or where to buy such a coil please let me know. The complete design you can see below. The coil needs to be configures for 5.3 kHz and you can calculate this using the following formula. The units are Hz for the frequency Henries for the inductance and Farads for the capacitance. If you fill in the numbers then you need to have 900 when you multiply the capacitance and inductance together. (when measuring them in microHenries and nanoFarads) So as an example 22nF and 40uH could work or 110nF and 8.2uH. To avoid winding the coils it would be nice to find one that is already prewound. Ones that i have used before are for the DCF77 transmitters and similar transmitters. They are made for 40kHz, 60kHz and 77,5kHz. One idea is to use the 40 kHz version but wire two coils of 190 windings in parallel. This would give an inductance of 4,66mH and need a capacitor of 200nF. I will try this out before proceeding with the eagle board design. I tried this method successfully using a the DCF77 receivercoil supplied by conrad (assembly includes 5cm ferrite+coil+680 pF) by adding 2 x 680pF in parrallel. Shows this is not very sensitive as using above calculation with 680pF and 77,5kHz gives coil with 6,62uH. Adding 2 680pF gives a frequency of 43.3kHz. There is also the design of Michael Moll. 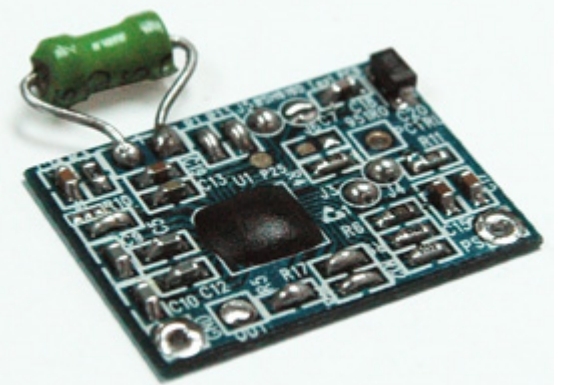 I have not managed to find a link to his site anymore so here you can find the circuit. What i am curious to find out is how the coding of the transmitters work towards the RMCM01. You can buy both coded and uncoded transmitters and both must work with the decoder circuit of the RMCM01. My current understanding is that the transmitter simply gives a burst of transmission power at 5.3kHz saying “heart beat” and no more than that. If that is the case then how do the transmitter and receiver synchronise so that only one transmitter is received. I could not find very much information on this on the net. If anyone has any idea please drop me a line. What i do know is the following: The signal is a burst of pulses at each heartbeat. This pulse burst is however coded in that sence that there is a pattern in it. A “0” is represented by a 7ms high and 13ms low and a “1” by 7ms high and 18ms low. where burst is 7ms wide. time between 1st burst and 2nd equals 153ms. time between 2nd and 3rd burst equals 13ms. So far, I did not measure my footpod, nor speedsensor nor cadance sensor. The following pattern is then transmitted depending on if the transmitter is also communicating speed eg bicycle etc. Now the next step is to try to read this signal. The ID coding of the sensors has only 2 bits so that only 4 different chest belts can be dealt with at any time. I suppose they transmit a maximium distance of about one meter so it may not be such a problem but it seems a bit low. You will also notice that the heartrate signal transmitted by the belt is a digital signal and so the receiving equipmentonly needs to read and decode this signal and not calculate the heart beat from any timing loop etc. The pulses are still sent out at regular intervals (every two seconds ?) so this could still be used to check the correctness of the signal. In any case there are ODD parity checks built in which should also ensure correctness of the data. I am going to make some experiments using the kyto receiver and also using the design by Peter Borst. I will post the results here. I will also make the winning design available in my shop. Heart-felt Apparel Very bief story with picture on how a RMCM01 works.